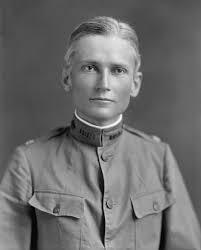 Today in Masonic history Hiram Bingham III was born in 1875. Hiram Bingham III was an American explorer and politician. Bingham was born in Hawaii, his father being an early protestant missionary to the Kingdom of Hawaii. He attend O'hau college, now known as Punahou School, starting at the age of 7 for 10 years before going to Massachusetts to complete his education. In 1898 he graduated from Yale University. He graduated from the University of California, Berkley in 1900 and Ph. D. from Harvard in 1905. In 1908, while Bingham was a lecturer at Yale University in South American history, he journeyed to South America for the first Pan American Scientific Congress in Chile. On his way home via Peru he was taken to the per-columbian city of Chloroquine. This thrilled Bingham with the prospect of unexplored Incan cities. In 1911 Bingham organized the Yale Peruvian Expedition. One of the expeditions objectives was to search for the lost city of Victos. In July of 1911 Bingham was led to the city of Machu Picchu which had been forgotten by most people except the local farmers who lived nearby in the valley. After Bingham announced his findings to the world, others came forward to say they had been there prior to Bingham. Bingham was the one who popularized the Machu Picchu though, of that there can be no question. The winding switch-back filled road that leads to Machu Picchu is named for Bingham. It has been suggested that Bingham was the inspiration for the character Indiana Jones. In 1924 Bingham was elected Governor of Connecticut. In December of that same year he was elected to fill the vacant Senate seat of Frank Bosworth Brandegee who had passed away. At this point Bingham was both Governor-elect and Senator-elect. Bingham served 1 day as Governor of Connecticut, the shortest in Connecticut's history. Bingham would be elected to a full 6 year term in 1926. His reelection bid would fail in 1932 would fail in the wake of the Democratic landslide in congress after the Great Depression. Bingham was a member of Hiram Lodge No. 1 in Connecticut. He was also a member of the Acacia Fraternity, a college fraternity affiliated with Freemasonry.